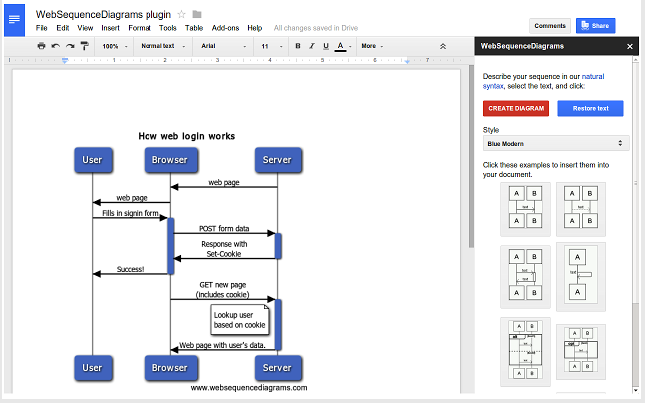 We received a couple of requests from teachers asking for Google Drive add-ons to use with Google Docs to create and integrate diagrams and flowcharts. The first tool that came to mind is Gliffy for we have reviewed it here a couple of times but then we did a further search in Google Drive app store and picked two more to add to this list. For those of you looking for apps to create concept and mind maps in Google Drive, this selection is a good place to start with. Also great for drawing a basic diagram, flow chart, UI mockup, site map, network map, business process model, org chart, floor plan, venn diagram, SWOT analysis, and other technical diagrams. 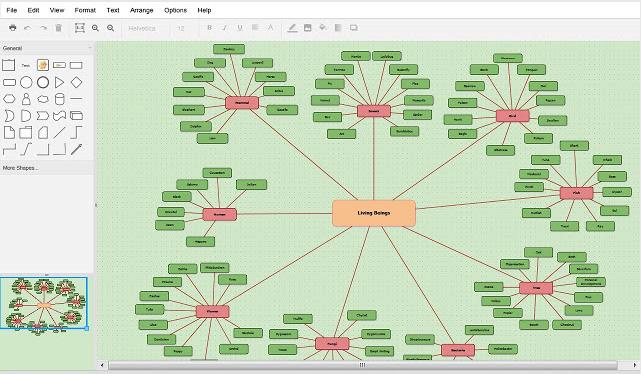 Draw.io is another powerful diagramming add-on to use on Google Docs. 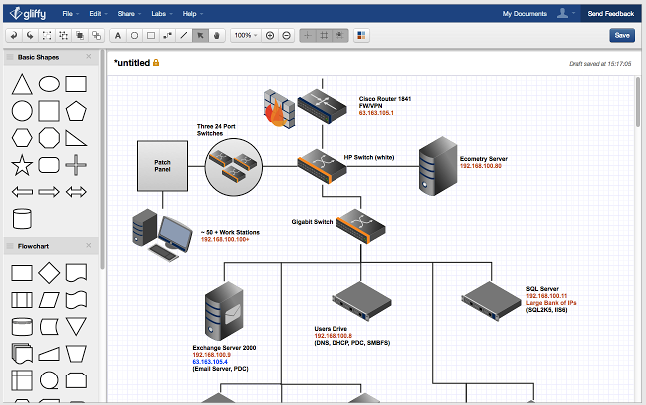 Its editor has all kinds of shapes and materials to help you create both simple and advanced diagrams. Draw.io is completely free and does not require any registration.